The Appalachian Trail Conservancy (ATC) is inviting nature lovers everywhere to celebrate the beauty and importance of eastern United States landscapes with the launch of “Wild East,” an initiative bringing greater attention to the Appalachian Trail (A.T.) and the lands surrounding its 2,192-mile length from Maine to Georgia. Wild East highlights the wildlife, forests, night skies and other natural wonders found along the Trail, as well as the welcoming communities, recreation opportunities and cultural history that have made the A.T. a world-renowned destination, all of which is within a day’s drive for 55 percent of Americans. The initiative also brings greater focus to the threats to the Trail and its surrounding ecology including urban sprawl, poorly-planned infrastructure projects and the impacts of climate change. In collaboration with artist and astronomer Dr. Tyler Nordgren, the ATC has commissioned an eye-catching poster to celebrate the launch of Wild East. The poster speaks to the legacy of the Trail as an American adventure while also bringing attention to landscapes, animals and communities that embody the A.T. experience. 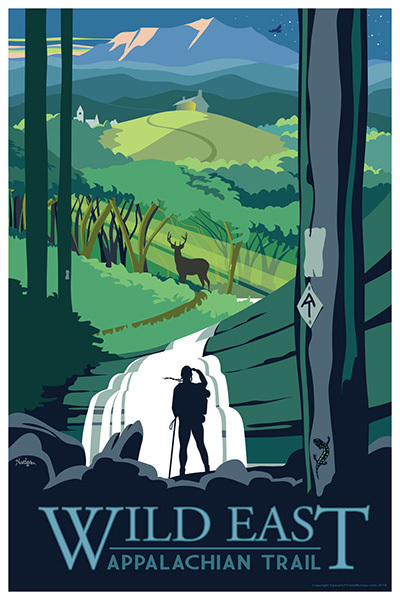 The poster will be available to those who become members of the ATC or make a donation to its mission to maintain and protect the Trail. For more information about Wild East and to get involved today, visit wildeast.org. Friends of the Smokies announced Friday that it will temporarily fund the reopening of Sugarlands Visitor Center near Gatlinburg, Tenn., and Oconaluftee Visitor Center near Cherokee, N.C., from Friday through Monday, Jan. 18-21. The Great Smoky Mountains is the most visited national park in the United States. It greets more than 10 million visitors annually. The Great Smoky Mountains National Park consists of over 522,000 acres, and sits along the state line between Tennessee and North Carolina. Although the vast majority of visitors to the park have idyllic stays on the property, every once in a while something goes amiss. On this list of strange occurrences in the park are the disappearances of four people that have yet to be solved. The Disappearance of Dennis Martin: Was a Wild Mountain Man Involved? Dennis Martin was a six year old child who was enjoying the park with his family on June 14, 1969. While at the park, Dennis played a game of hide and seek with his brother and other children. During the game, Dennis seemed to disappear. His family spent a few hours attempting to find him themselves. After that time, they notified the National Park Service. Ultimately, not only the Park Service, but the National Guard became involved in the search for Dennis. All told more than 1,400 people assisted in trying to locate the missing boy. A trio of theories has persisted in regard to the missing child. First, some people maintain that the boy became lost and died of exposure or some other cause shortly after he went missing. 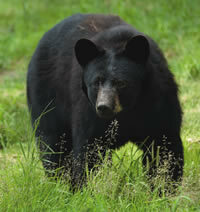 A second theory is that the child was attacked by a bear or even a feral pig. The boy’s father espouses a third theory - that his son was abducted. This theory stems from a report by another park tourist named Harold Key, made three days after Dennis vanished. Key reported that he heard what he described as an “enormous, sickening scream.” Not long after hearing the scream, Key witnessed a man carrying something over his shoulder. Key wasn’t able to state without reservation that the man was carrying a child, but that was his impression. Sometime before Dennis disappeared, a park ranger was attacked by what was described as a “wild mountain man.” There were individuals described as wild men living in the park at the time Dennis disappeared. The FBI has never been able to absolutely confirm that this is what happened to Dennis. Investigators indicate that there is insufficient evidence to support this theory, but they nonetheless have not ruled it out. A few years later, another visitor evidently came upon the scattered skeletal remains of a child. He did not report what he saw for about 15 years for fear of being prosecuted. A search in 1985 revealed nothing and no charges were ever brought against the man that reported the finding of the skeletal remains. 16-year old Trenny Gibson was on a school trip in the Great Smoky Mountains National Park when she disappeared on October 18, 1976. She was hiking with about 40 of her classmates at the time of her disappearance. The students broke up into smaller groups, depending on their hiking ability. Only one teacher and the bus driver were on site supervising all of the children. Trenny was last seen while hiking in an area that had sharp drop-offs down to an area with considerable underbrush. There are two prevalent theories about what happened to Trenny. One of her classmates believed that Trenny disappeared of her own free will. This classmate was under the impression that Trenny made arrangements for someone to meet her in the park, and she planned to leave with that individual. The second theory involves a classmate named Robert. Trenny’s hair comb was found in his car after she disappeared. Robert and Trenny had something of a history. Robert had attempted to break into Trenny’s family home. Trenny’s mother shot the boy during the break-in attempt. After being shot, Robert is alleged to have said he would exact revenge on Trenny. The police evidently looked into this theory but concluded that there was a lack of evidence to support it. Polly Melton and her husband were enjoying their Golden Years in an Airstream trailer. Together with 10 other couples, they stayed at Great Smoky Mountains National Park in September 1981. One afternoon while in the park, Polly went for a hike with some of her friends. During the hike Polly started walking briskly and got ahead of her friends. She was never seen again. An intensive investigation was undertaken in the park to try and find Polly. The efforts produced no results and no evidence of her whatsoever. Several months later a check made payable to Polly was cashed. Upon examination, the check did appear to bear Polly’s authentic signature. Unfortunately, the bank teller who cashed the check had no recollection of what the person who presented it looked like. The fourth unsolved vanishing in the park involved Derek Leuking, a man in his early twenties. Derek had visited the park alone on March 17, 2012. He had left his car in a parking lot, filled with all of his gear. He left a note on his windshield that read “Don’t try to follow me.” Despite the admonition not to be followed, a search was undertaken when Derek was reported missing. In the fall of that year, for a brief moment, investigators thought they may have found Derek’s remains. In fact, another young man went missing around the same time as Derek. The remains were determined to be those of the other missing young man. No sign of Derek has yet been found since his disappearance in 2012. 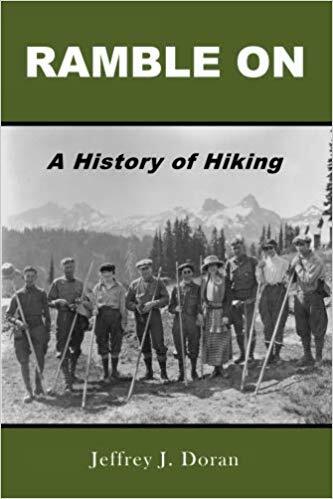 I’m very excited to announce that my new book on the rich history of hiking is now available on Kindle eBook. Ramble On: A History of Hiking was originally published as a print-only book back in September. As of today, it's now available as an eBook. Ramble On: A History of Hiking is the first broad historical overview of hiking in one volume. 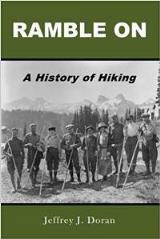 Among the variety of topics discussed about the early years of hiking, the book chronicles hiking’s roots in alpinism and mountaineering, the societal trends that fostered its growth, some of the early hikers from the 19th century, the first trails built specifically for hiking, the formation of the first hiking clubs, as well as the evolution of hiking gear and apparel. It also includes anecdotal stories of trail development in some of our oldest and most iconic national parks, including Great Smoky Mountains National Park. If you would like to read a short excerpt from the book on the "True Realities of Women’s Hiking Attire During The Victorian Era", please click here. You can also read published reviews from the Appalachian Mountain Club and the National Parks Traveler. To order your copy now, please click here. Once again, thank you very much! Great Smoky Mountains National Park announced today that recently closed areas of the park will once again be accessible to visitors beginning yesterday, January 13. Some basic visitor services, including campgrounds and restrooms, will reopen using revenue generated by recreation fees. National Park Service officials have determined that by using Federal Land and Recreation Enhancement Act funds to immediately bring back park maintenance crews to maintain roads and some basic services, the park will be able to restore accessibility to the park for visitors while ensuring health and safety. Maintenance crews will reopen and maintain the restrooms listed above in addition to continuing to clean the restrooms that were temporarily reopened last week at Newfound Gap and the Cades Cove Visitor Center by the Friends of the Smokies. Most park facilities will remain closed including Sugarlands and Oconaluftee Visitor Centers. Great Smoky Mountains Association is donating services to reopen the Cades Cove Visitor Center near Cable Mill. Trash removal from dumpsters across the park will continue through a preexisting contract. Roads and trails that are seasonally open will be maintained and remain accessible to visitors on a prioritized basis. Road crews will plow roads, remove downed trees, and clear small landslides along heavily used roadways including the Spur, Newfound Gap Road, Little River Road, and the Cades Cove Loop Road. These operational efforts will be performed with reduced staffing using revenues from recreation fees. Road closures due to weather events may result in significantly longer closures than normal, and some remote, lesser used roads may remain closed until a return of full staffing. The park website will remain accessible, but it will not be updated with any current information. Park social media accounts will continue to be suspended during the shutdown period. Information and images from webcams, including the Newfound Gap webcam, will remain accessible at https://www.nps.gov/grsm/learn/photosmultimedia/webcams.htm. 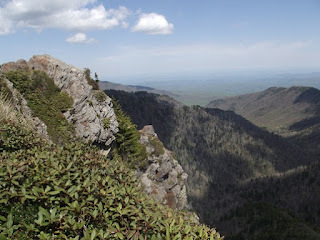 The Friends of the Smokies will be holding several events for hikers across North Carolina over the next several weeks. This includes Smokies 101 and the Smokies 900-Miler Challenge Panel.